Roman legionaries founded “Valentia” on the banks of the Rio Turia in 138 BC. At this time they were the first to develop irrigation for the neighbouring regions. When Rome collapsed, the Visigoths then settled, only to be banished by Muslim cohorts in AD 711. The Arabs produced rich agriculture and made Valencia an industrial centre. They established ceramics, paper, silk and leather industries and extended irrigation canals in the rich agricultural hinterland. In 1010 the Cordoba Caliphate (empire) crumbled and was replaced by copious autonomous kingdoms including that of Valencia. A new wall was erected during the reign of King Abd al-Aziz, remains of which have survived to this day in the historical centre of El Carmen. There was a short disturbance in 1094 by the triumphant rampage of the celebrated Castilian Knight El Cid. Then in 1238, Christians then reclaimed the city, when Jamie I made Valencia part of the Catalan Kingdom andended five centuries of Muslim society, yet, even today we can see its trails in the city and the region of Valencia as a whole. In the 15th and 16th centuries Valencia was at its most lucrative. It was one of the Mediterranean’s strongest trading centres. Valencia embarked on a new period and created a social setup that still influences the region today.There was an economic boom, which was evident through the culture and art of the time. Several of the city’s renowned buildings were constructed, such asthe Torres dels Serrans, the bell tower known as "El Micalet" and the church of Los Reyes del Convento de Santo Domingo. The arts also flourished the city influenced by Flemish and Italian painters, and sculptors such as, Lluís Dalmau, Gonçal Peris or Damian Forment. Also the writers, Ausias March, Roiç de Corella or Sor Isabel de Villena began to thrive under the patronage of Alfonso the Magnanimous. The long reign of Felipe IV in the seventeenth century was characterised by the enforcing of absolutist ideals. The king had eliminated the privileges the city had once enjoyed, via his growing control of civic posts and his meddling, through the viceroy, in districts where the city had been granted powers by the charters. This meant there was progressing social tension and led to protests. This turbulence was aggravated by a serious of unfortunate events; the plague epidemics and the catastrophic flood of the Turia River in 1651, which slashed the population by one third.Valencia then made political decisions that would also cost them; one was joining the wrong side in the War in the Spanish Succession. 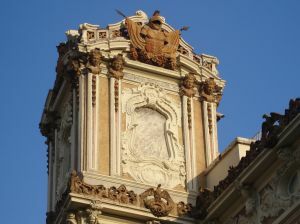 In 1701 Valencia remained loyal to the new king, Bourbon Felipe V. During the eighteenth century Valencia had an economic spurt based on the manufacture of silk fabrics and industries such as tile making. The eighteenth century was named the century of Enlightenment.Valencia found itself on the forefront as one of the outposts of modern philosophy, which influencedand enthused by the people of Valencia. This proceeded to the establishing of the Royal Economic Society of Friends in 1776. An organisation that brought a number of enhancements in the agricultural industry. It also supplemented and promoted a variety of financial, civic and cultural institutions. It proved to be an unstable time towards the beginning of the nineteenth century, due to the repercussions of the French Revolution. In 1833 provinces were created and the city council was reconstructed.Hereditary positions were eradicated and replaced by a configuration in which applicants from the local bourgeoisie were elected. Then again in the Spanish Civil War, Valencia sided with the Republican government, and consequently obtained a seat in the party from November 1936 until October 1937. This did not do the city any favours when Franco rose to power.The city suffered from the blockade and siege by Franco's forces and the postwar period was hard for Valencians. Their culture was depressed; speaking or teaching Valencian was forbidden. In 1957 the city suffered a severe flood by the Turia River, reaching as high as two meters in the streets. A decision was then made to drain and reroute the river and it now passes around the Western and southern suburbs of the city. Another plan to turn the drained area into a motorway was dropped in favour of a picturesque seven kilometre park which surrounds the historical centre. Valencia enjoyed autonomy that benefited from the decentralisation that occurred after Franco’s deathin 1975. In the last two decades Valencia has undergone many transformationsgeographically and socially. In a significant reversal it is now compulsory for every child to study Valencian, giving society a chance to gain the identy that they lost in the years Franco ruled.Schemes such as, the gardens, Jardín del Turia; the IVAM (Valencia Institute of Modern Art); the concert hall, Palau de la Música, and the conference centre, Palau de Congresos; the metro; the Ciudad de las Artes y de las Ciencias (City of the Arts and Sciences), and the park, Parque de Cabecera, have made Valencia an international cultural haven.